Yes, we know. Our smartphone batteries are bad because they barely last a day. But it’s partially our fault because we’ve been charging them wrong this whole time. Many of us have an ingrained notion that charging our smartphones in small bursts will cause long-term damage to their batteries, and that it’s better to charge them when they’re close to dead. But we couldn’t be more wrong. If fact, a site from battery company Cadex called Battery University details how the lithium-ion batteries in our smartphones are sensitive to their own versions of “stress”. And, like for humans, extended stress could be damaging your smartphone battery’s long-term lifespan. If you want to keep your smartphone battery in top condition and go about your day without worrying about battery life, you need to change a few things. According to Battery University, leaving your phone plugged in when it’s fully charged, like you might overnight, is bad for the battery in the long run. Once your smartphone has reached 100 per cent charge, it gets “trickle charges” to keep it at 100 per cent while plugged in. It keeps the battery in a high-stress, high-tension state, which wears down the chemistry within. Battery University goes into a bunch of scientific detail explaining why, but it also sums it nicely: “When fully charged, remove the battery” from its charging device. “This is like relaxing the muscles after strenuous exercise.” You too would be pretty miserable if you worked out nonstop for hours and hours. At least when you don’t have to. According to Battery University, “Li-ion does not need to be fully charged, nor is it desirable to do so. In fact, it is better not to fully charge, because a high voltage stresses the battery” and wears it away in the long run. That might seem counterintuitive if you’re trying to keep your smartphone charged all day, but just plug it in whenever you can during the day, and you’ll be fine. It turns out that the batteries in our smartphones are much happier if you charge them occasionally throughout the day instead of plugging them in for a big charging session when they’re empty. 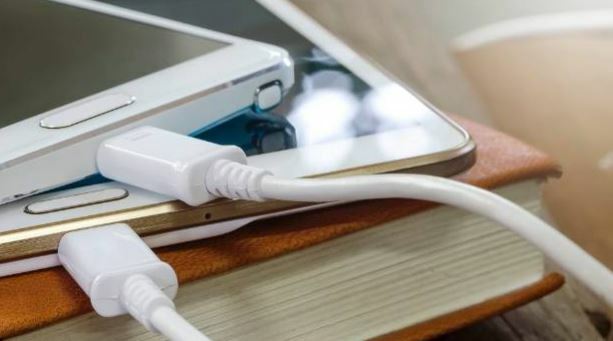 Charging your phone when it loses 10 per cent of its charge would be the best-case scenario, according to Battery University. Obviously, that’s not practical for most people, so just plug in your smartphone whenever you can. It’s fine to plug and unplug it multiple times a day. Not only does this keep your smartphone’s battery performing optimally for longer, but it also keeps it topped up throughout the day. Plus, periodic top-ups also let you use features you might not normally use because they hog your battery life, like location-based features that use your smartphone’s GPS antenna. Smartphone batteries are so sensitive to heat that Apple itself suggests you remove certain cases that insulate heat from your iPhone when you charge it. If you’re out in the hot sun, keep your phone covered. It will protect your battery’s health.